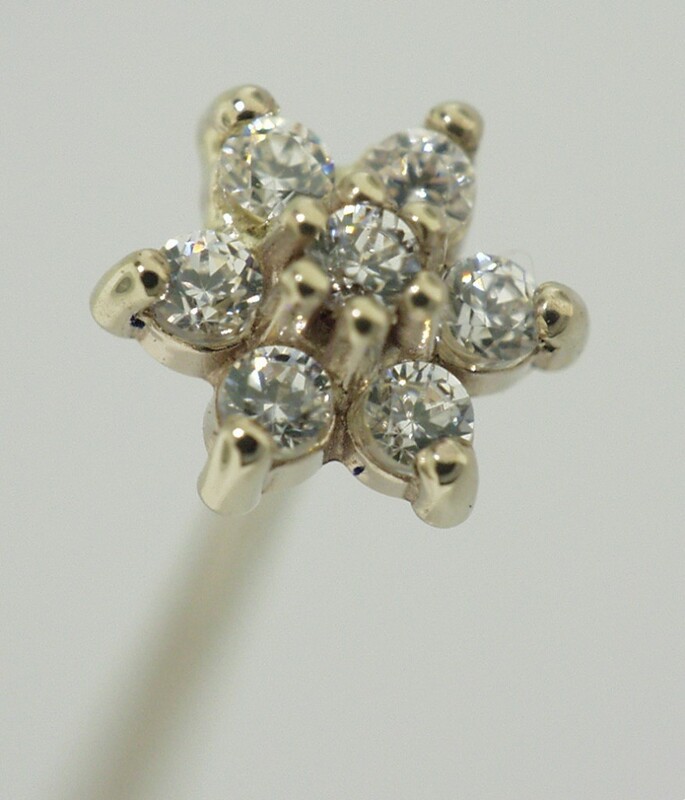 We carry a wide variety of different shapes of solid gold to gemstones. In solid gold we have balls, disks, domes, stars, decorative squares, pyramids, and clusters of 3 or 4 balls. In gemstones we carry several different types of marquise, princess, and flowers.